Power often operates in strange and surprising ways. With A Convent Tale, Renee Baernstein uncovers some of the nuanced methods cloistered women devised to exert their agency. In the tradition of Simon Schama and Steven Ozment, Baernstein uses the compelling story of a single clan, the Sfondrati, to refashion our understanding of the early modern period. Showing the nuns as neither helpless victims nor valiant rebels, but reasonable beings maneuvering as best they could within limits set by class, gender and culture. Baernstein writes against the tendency to depict women as inactive pawns, and shows that even within the convent walls, nuns were empowered by ties with their (often earthly) families and actively involved in the politics of the period. 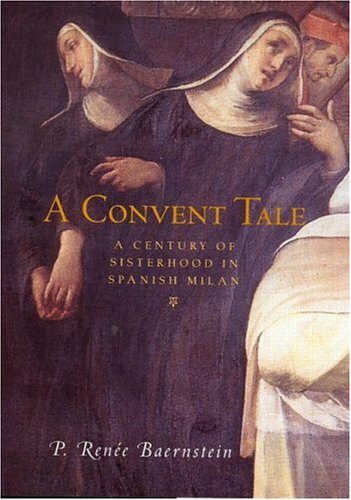 Both a major contribution to scholarship on gender, family and religion in early modern Europe, and a colorful well-told tale of Renaissance intrigue, A Convent Tale is sure to attract a wide range of academic and general readers.